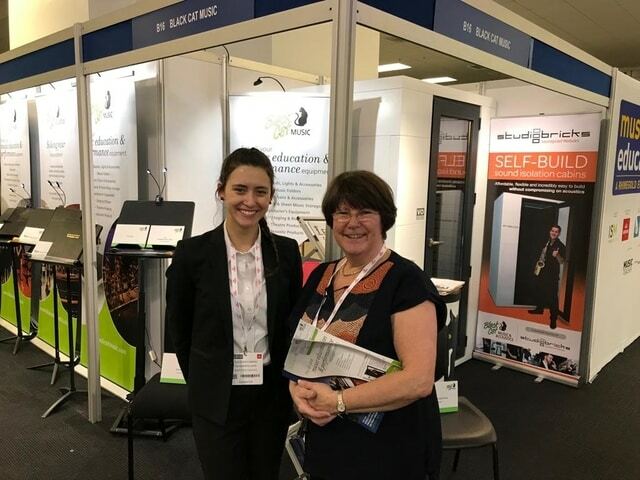 March saw Black Cat Music & Acoustics showcase a Studiobricks self-install, practice pod at the Music and Drama Education Expo at London Olympia. The exhibition is the ideal opportunity for industry professionals from around the world to network, attend workshops and view the hundreds of exhibitors displaying their products and services. The pod/booth was set up by the Black Cat team in little over an hour and it proved to be a major draw for professionals who were impressed by the acoustic properties and sound reduction levels. Students too enjoyed getting in on the act asking their friends enter the booth, close the door then sing or even shout. Because of the ambient noise of the show, it looked as if those in the booth were miming!